Why install a paving stone driveway instead of pouring a concrete slab? 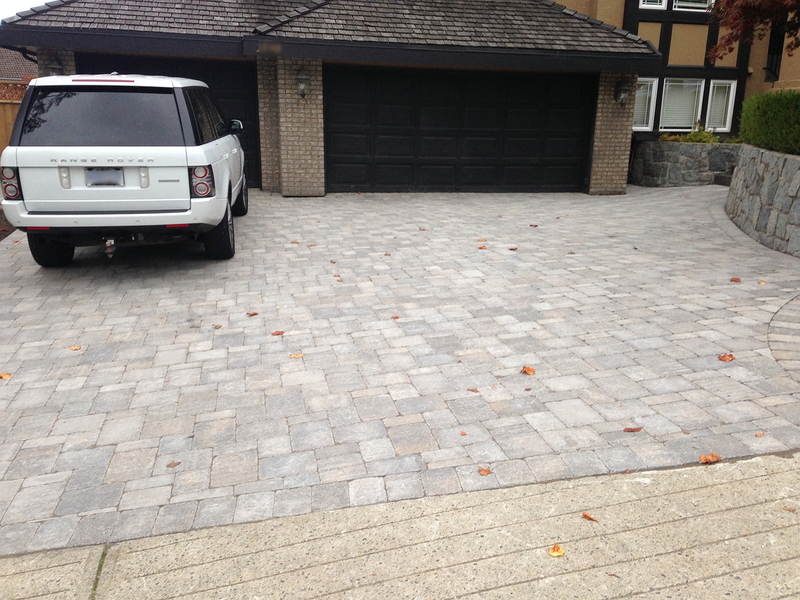 The benefit of using paving stones in your driveway is far more than adding curb appeal to your home. Concrete is prone to cracking, and developing unsightly lines that get worse with every freeze and thaw cycle, as the material has no outlet for the expansion and contraction that happens with seasonal change. Paving stones are know as “flexible pavement” since they are able to move with freezing and thawing, thereby avoiding cracks. Additionally paving stones are manufactured with less water content than “poured in place concrete”, so the stones are more durable and last longer. Aside from practicality however, the most exciting qualityof paving stones really is the many design possibilities; the opportunity to create a more visually pleasing and unique paved surface with the variety of shapes, sizes and colours available. 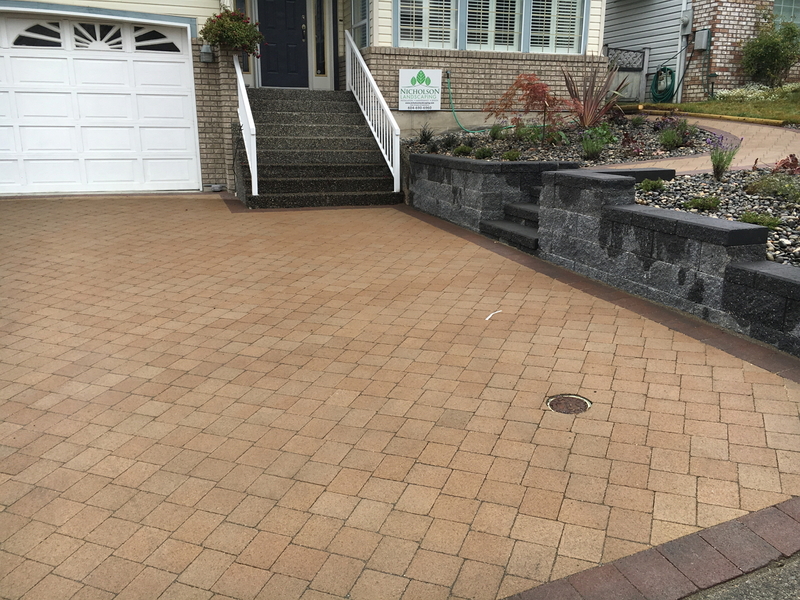 We at Nicholson Landscaping recommend using paving stones on driveways in an interlocking pattern since this is proven to be the most durable for vehicular traffic. Our skilled, certified installers can quickly lay your driveway in under a week and get your vehicle off the street and back in the garage! We stand by the quality of our work with a written guarantee. View our paving stone suppliers catalogs below by clicking their logos.